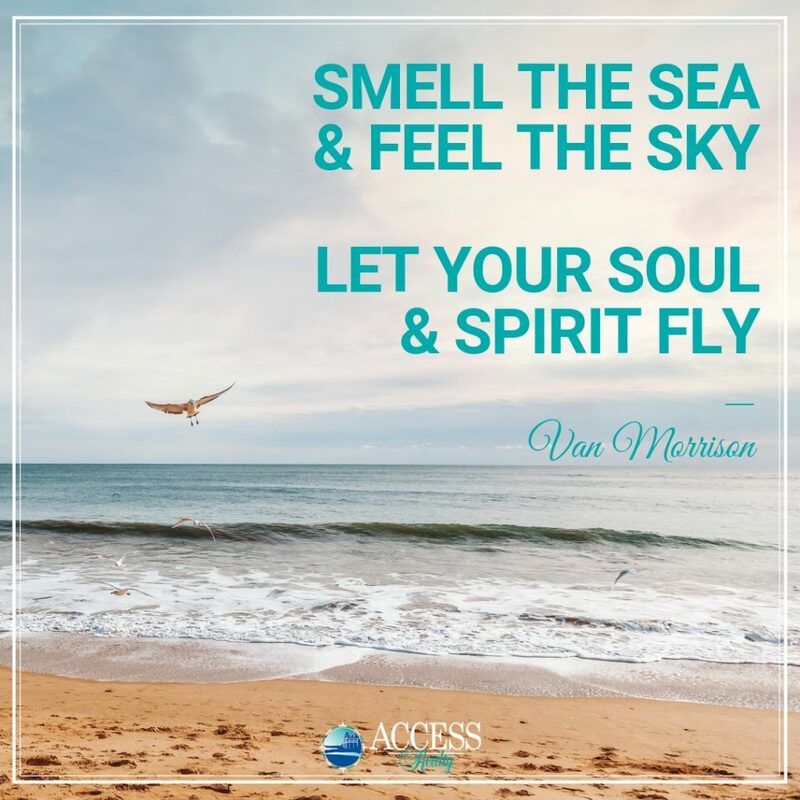 www.accessthebeach.com – Your Access to the Beach! A fun night out on the town during your Topsail, NC beach vacation is easy to find with all of the options that are available to you—and all right near your Topsail Island rental. The hardest part is deciding what you want to do most! Whether it’s date night, a special occasion or just a regular part of your beach vacation, nights out on (or off) the island are always a hit. Check out some of the best ways to go out and experience what the area has to offer. 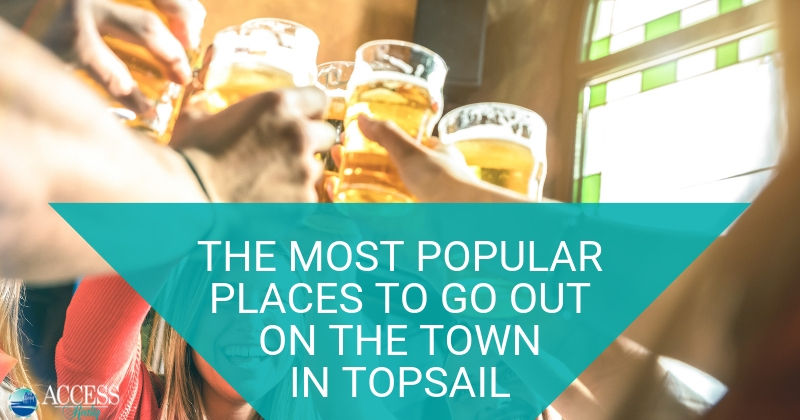 The first thing that comes to mind when we’re talking about going out on the town are the local favorites in Topsail that are the perfect spots to enjoy a bite to eat, sip an adult beverage, and listen to live music. Brass Pelican, Surf City: Known for its laid-back atmosphere and dive bar status, you can enjoy a cold drink, tasty bar food, live music, the outdoor area and a come-as-you-are atmosphere here. Hopsail Island, Surf City: This full service bottle shop and tap room serves up some of the best and most unique beer (and wine) on this island—and all with a smile coupled with friendly service. Check out their event schedule, too. Lo-re-lei’s Pub & Grill, Sneads Ferry: Go off island for this one and enjoy a full menu and some really cold beer. Lo-re-lei’s also offers live music, karaoke contests, dance parties, as well as pool and darts tournaments. Quarter Moon Wine Bar, Topsail Beach: The Quarter Moon is not just for coffee and books! They have a wine bar complete with live entertainment. Check out their event schedule and see who’s playing. Rick’s Restaurant & Sports Bar, Sneads Ferry: Drive over the bridge and go off island for Trivia Night or live music at Rick’s. Come for dinner and stay late at this local favorite. Salty Turtle Beer Company, Surf City: Locals love the Salty Turtle and you will too. Enjoy this brewery and taproom complete with a beer garden. You can even bring your own food in with you, if you please. Second Row, Surf City: It’s all about beer, wine and music here. It’s open mic all the time and they’ll even provide the instruments. It’s casual and totally captivating. Shuckin’ Shack Oyster Bar, Surf City: You can’t really have a quintessential Topsail beach vacation without fresh local seafood. You also can’t have romance without fresh local oysters—and they serve them up daily at Shuckin’ Shack. They also host “Sundays At The Shack” with live music on their pet-friendly patio every Sunday in June-August from 4-6pm. Swingbridge Cork & Brew, Surf City: Enjoy unique wines, craft brews, kegs for order and a lot of live entertainment in a fun, friendly atmosphere. Try a flight or a wine tasting while you’re here. Beach Shop & Grille, Topsail Beach: The Beach Shop and Grill was founded in 1952 and is an historic landmark in Topsail Beach serving fresh local seafood, NC pork and the freshest produce. Enjoy this upscale casual bistro near the beach, where the seafood is freshly caught and prepared, the shrimp and grits are infamous, and the house-made desserts are to-die-for. There’s an amazing wine list and craft beer list, too, making it a wonderful place to spend the evening. Beauchaine’s 211, Surf City: Beauchaine’s casual fine dining and full service bar is a great place for drinks and dinner. It’s the perfect spot for date night, family dinners, special occasions and other celebrations. Outdoor seating is available, too. Reservations recommended. Daddy Mac’s Beach Grille, Surf City: Daddy Mac’s is located right on the beach offering awesome views of the Atlantic Ocean and Surf City Pier. They have a separate lunch and dinner menu that include the freshest seafood, great burgers, sandwiches and salads for lunch, quality steaks, excellent pasta dishes, as well as many other local favorites. No reservations are taken unless you have a large group. These are only a select few of the many places available for your evenings out. We also recommend you check out TripAdvisor’s top picks for Topsail restaurants that give you even more great date-night dinner and drink destinations. Perhaps you’re looking for something a little more active and adventurous for you and your date. We’ve got some wonderful suggestions for that, too! Whatever your interests, you’re sure to find a few fun ways to get out and enjoy your time together. Here are a few of our favorites. Putt Putt Golf: This is a quintessential beach vacation activity and a fun way to go out and refresh your putting skills. Patio Playground and Putt Putt in Topsail Beach as well as Shipwreck Miniature Golf in Surf City are your go-to putt putt destinations on Topsail Island. Perfect for families or just the two of you where good ol’ fashioned fun and festivities are offered for your playing pleasure. 18-Hole Golf Courses:If you’re an avid golfer, you’re in the right place. Topsail has some fabulous golf courses to tee it up and get your game on. You can read up on our Ultimate Guide to the Best Topsail Golf Outings right here. Water Sport Adventures: Kayaks, paddle boards, jet skis, charter boats and surf board lessons and rentals are available to you on Topsail Island. Get out there and paddle the local waters or set out on a sightseeing cruise or chartered fishing boat. However you like to get out on the water, you can find it here. Visit our Things To Do page for local recommendations and businesses to get you where you need to go. Romantic Walks on Topsail Beaches & Piers: With three separate but equally beautiful towns on Topsail Island, you can stroll your way around hand-in-hand with your sweetheart while taking in all of the breathtaking coastal scenery and gorgeous views that the island has to offer. Each town has a fishing pier where you can walk and talk. Each of our beaches also offers romantic walks to be shared each and every day. Read more about each of our Topsail towns and visit them all if you can. If you’re looking for some suggestions for out on the town experiences that are truly unique to Topsail Island, then these are for you. They promise to give you a memorable time that will bring you fond memories of your Topsail beach vacation for years to come. Sneads Ferry Community Theatre: Come on out and enjoy a show! The Sneads Ferry Community Theatre is a fun and entertaining place for an evening out. These local productions are crowd favorites. Check out their upcoming performances and get your tickets. Topsail Skating Rink, Topsail Beach: Lace up your rollerskates and get ready to roll at this family-owned Topsail landmark that’s been in business for over 50 years. Rollerskate to 70’s and 80’s music every night from 7pm to 10pm. Ice cream, snoballs, smoothies and other snack options complete this classic date night experience. Topsail Escape Room, Surf City: Did you know that Topsail Island has an escape room experience? It does! It’s good clean fun for everyone. From families and couples to friends and coworkers, the Topsail Escape Room challenges you to get your mental game on! Work together and work out your escape. Will you succeed? There’s only one way to find out. Do it! Topsail Moose Lodge, Holly Ridge: The local lodge offers special events, dance classes, and one-of-kind local fun. See what’s happening here next time you’re in town. Turtle Factory Wine and Design, Sneads Ferry: Come to The Turtle Factory and paint a masterpiece while you snack and sip some wine. It’s a unique way to spend your time with your loved one or with a group of family and friends, and you’ll take a piece of Topsail home with you. 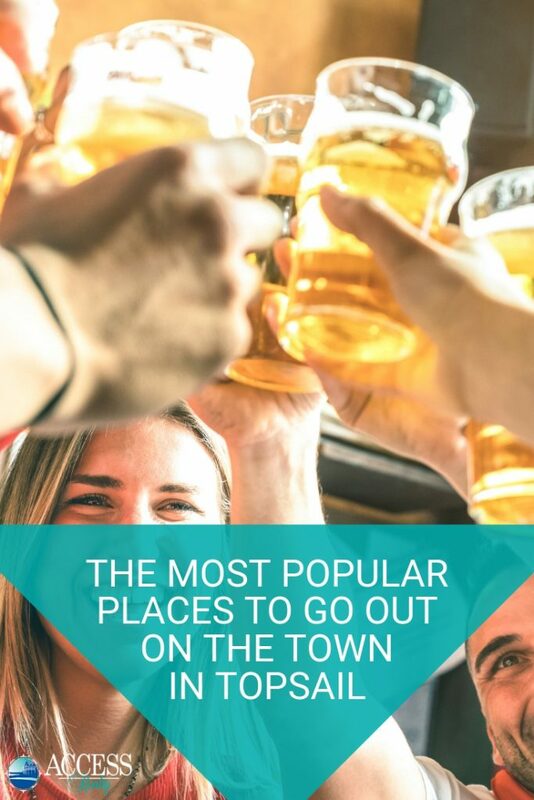 Well, these are our top suggestions for popular places to go out on the town and have a good time during your Topsail, NC beach vacation. Now that you know ours, we want to know yours! Need a Babysitter During Your Topsail Vacation? Topsail Childcare Solutions, Nanny/Babysitting Placement Agency: Need childcare while you’re on your Topsail, NC vacation? No problem! Topsail Childcare Solutions specialize in vacation babysitting. If you are vacationing in the Topsail area and would like a date night, or just some time to do activities that are not child-friendly, they can provide a babysitter for you for a $20 sign-up fee. You will get a sitter that has been interviewed, passed a background check, has references checked, and is CPR/First Aid certified. Find them on Facebook at the link above; or call/text (910) 789-4701 for more information. Where do you go for a fun night out when you’re here? We want to add to our list of local favorites by hearing from you! 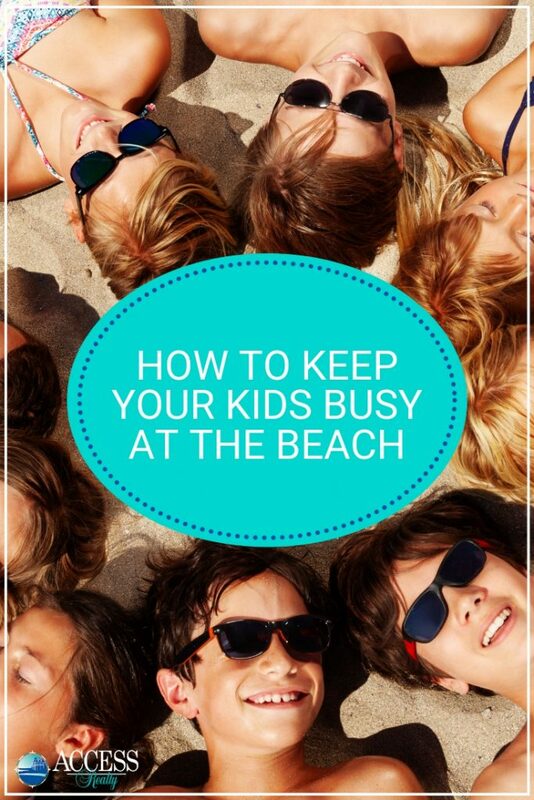 How to keep your kids busy at the beach? Wait, what? Isn’t the beach one of the most entertaining places on earth for kids of all ages? Yes, yes it is. Most days all you have to do is step out of your Topsail Island oceanfront rental and onto the beach, and they are as happy as clams. But then there are those days where you need a few extras (parents, you know what we mean). So just in case you have a day or two like that during your Topsail, NC beach vacation— we’ve got you covered with these fun, family-friendly beach activities for the kids and kids at heart. 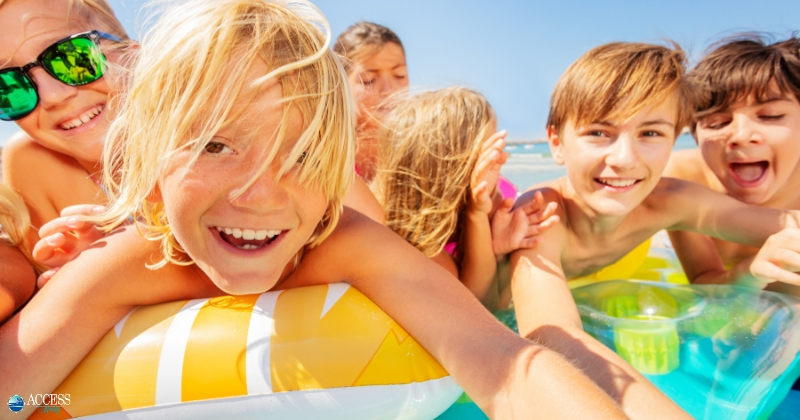 Here are some of the easiest and most popular games, activities and classic beach fun to keep your kids happily amused while you sit back and soak up the sun. Beach Treasure Hunt: A beach treasure hunt is fun for all ages. 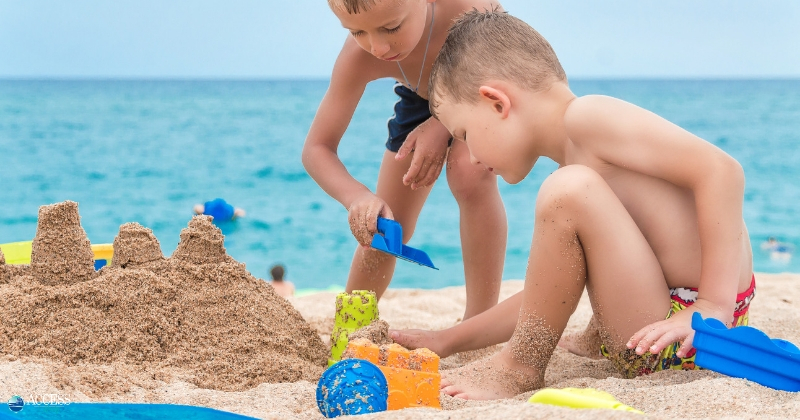 You can either hide objects, toys or coins in the sand for the kids to find, or you can keep it even simpler by creating a list on paper or in the sand of things they need to find and retrieve from the beach. Build a Sandman: Forget about building a snowman, build a sandman instead! Use wet sand to create your base and then get creative with the rest. Sunglasses, goggles, flippers, flip flops, beach towels, and other beach accessories make perfect accents. Bury Each Other in the Sand: What child doesn’t love the opportunity to bury their sibling in the sand? …Or friend, or parent… (if you’re down with that). Goggles or sunglasses might be helpful as a preventative measure for keeping sand out of the eyes. Then it’s time to switch places! Oil Drilling: This is a classic beach activity where kids have 5 minutes (or any time period you choose) to dig a hole in the sand. Whoever has the deepest hole when time’s up is the winner. Just remember to fill up any holes you make in the sand when you’re done! You don’t want anyone to get hurt or provide any dangerous obstacles to sea turtles and their hatchlings. Sand Angels: This is a fun activity for the littlest ones to enjoy. Sand angels are made the same way as snow angels. You can even add a few shells for decoration. Sand Drawing: Kids love to draw and the beach can be their canvas. Have them draw pictures in the sand using their hands, sticks or shells. You can draw a frame first that each child has to draw their picture inside or have them start from scratch and you can judge the best picture. Sand Hopscotch: Draw a hopscotch grid on the sand and use shells as markers. Kids love it! Sand Sculptures: You can get really creative with these—sculpting turtles, aliens, or anything you want. Decorate with shells and pebbles for added effect. Sandcastle Building: Make it a team competition between two different sandcastles, or give the kids a time limit to finish their own masterpiece. However you do it, sandcastle building is fun for all ages. Beach Scavenger Hunt: Supply each child with a list (it can be written or drawn with pictures) and a bucket in which they can collect their treasures. Bucket Ball: Use some buckets and a tennis ball to have kids take turns aiming and tossing the ball into the buckets, or you can buy the commercially produced game and bring it with you to the beach. “Parachute” Games with a Beach Towel: Grab a large beach towel and a beach ball. Hold the ends and sides of the towel with the ball in the middle of the towel, and see how high that ball can bounce. Aim for the sky! Sand Bull’s Eye: Draw three circles in the sand and collect some stones and shells. Players have to throw the stones into the circles for points (one for the big outer circle, two for the middle circle and three for the center circle). Sand Pictionary: Write down a list of beach objects on separate scraps of paper (sand castle, ice cream, crab, etc.). Fold them up and put them in a bucket. Set a timer for 1 minute. One child picks out a piece of paper from the bucket and has to draw in the sand the object that is written on it. The other kids have to guess what is being drawn. After each correct guess the drawer then picks another bit of paper and keeps drawing as many objects as they can in 1 minute. The drawer scores a point for each drawing that was correctly guessed by the other kids. Another child then becomes the drawer and does the same thing. This can also be done in teams of 2 or more—the drawer from each team reads the same bit of paper and tries to get only their teammate to guess, racing against the other team. Seek and Retrieve: Assign a part of the beach as a boundary, and tell everyone who’s playing to bring back the most interesting thing they can find within the boundary area. Bonus points for whoever gets back first. Squirt Ball: Bring water guns and a beach ball to the beach, and draw a line in the sand for each team. Place the beach ball between the two lines. Players have to use the squirted water to get the beach ball over the other team’s line. Beach Volleyball: Beach volleyball is so fun. Enjoy a mixed game of kids and adults or divide up teams any way you choose. 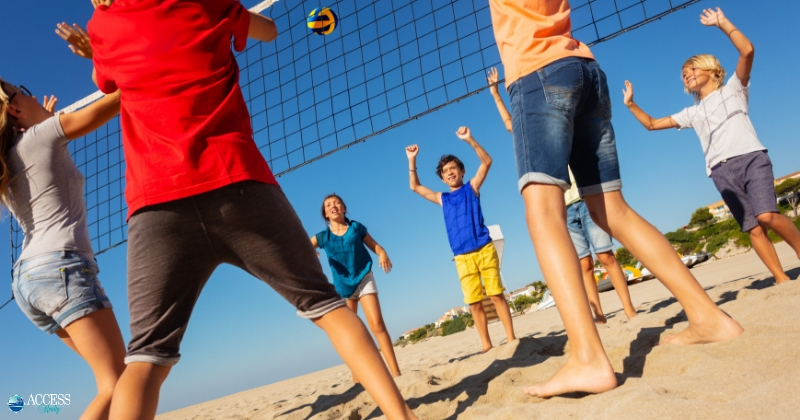 For the smaller kids, a beach ball and a towel are great substitutes for a net and volleyball. Try to count the number of times they can get the ball back and forth. Beach Frisbee Golf: Try substituting a game of regular frisbee with frisbee golf for a new twist. Set up targets using items you brought to the beach (could be a picnic blanket, an umbrella, a towel, or you could even dig a hole in the sand to aim at). Take turns trying to throw your frisbee as close to the target as you can. Make sure smaller kids are allowed to stand closer to the target than the bigger ones to keep frustration levels to a minimum. Bocce Ball: Bocce ball is an easy game for all ages to learn and to play. A “jack” or target is thrown on the sand. Players then throw their weighted balls and the one who gets their ball closest to the target wins a point. The game continues until a certain number of points are reached. If you don’t own a bocce set, improvise with rocks and other beach treasures. Just always make sure no one is walking by when it’s your turn to throw! Bubble Blowing: Don’t underestimate the entertaining power of a simple bottle of bubbles. 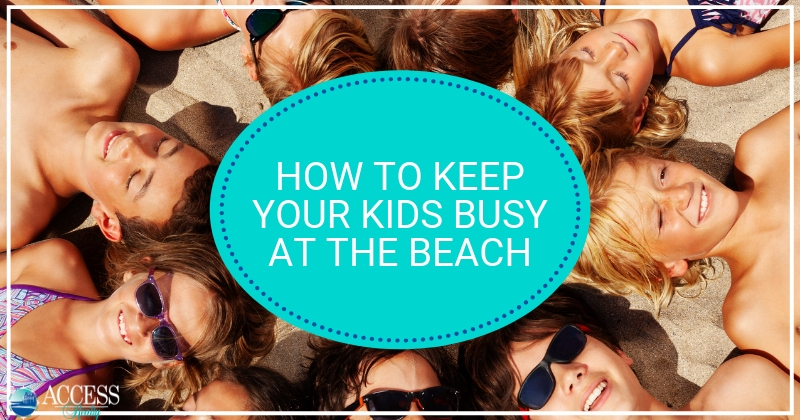 The beach is the perfect wide-open space for kids to blow, chase, and pop bubbles. So easy, so fun! Frisbee: The beach is a nice open space for a good old-fashioned game of frisbee. It fits easily in your beach bag and can be played on the sand or partially in the water. Just be mindful of anyone near to you so you don’t become a nuisance or accidentally hit them. Kite Flying: Let’s go fly a kite! This is a classic beach day activity. Even if it’s not a windy day, kids love running while pulling a kite behind them. Many of Topsail Island’s local sports outfitters and shops sell kites, so check them out. Limbo: Play a beach-friendly version of this game by improvising with a pool noodle, jump rope, paddle, or beach towel. This one’s not just for the kids, either. How low can you go? Musical Beach Towels: This is just like musical chairs, but instead you’re using beach towels. Make sure there’s one less beach towel than number of people playing. Start up the music from your phone and when it stops, each person must sit on a towel. Whoever is left without a towel is out of the game. Remove another beach towel and continue playing in this manner until the winner is revealed. Tidal Pool Exploring: Topsail Beach has pockets of tidal pools left behind when the ocean waters recede at low tide offering the perfect opportunity for kids to play, explore and observe. Tug of War: Using a jump rope or some beach towels tied together, stand at the water’s edge. Divide the kids (and adults) into two teams as equally (and fairly) as possible. Make sure the middle of the rope is right over a line drawn in the sand. Hand the ends of the rope to each team and on the signal let them tug away until one team is triumphant. Love these beach games and activities? You can find more here and here. What are your favorite family-friendly beach games and activities for the kids and kids-at-heart? We’d love to hear them! Raise your hand if you love free! 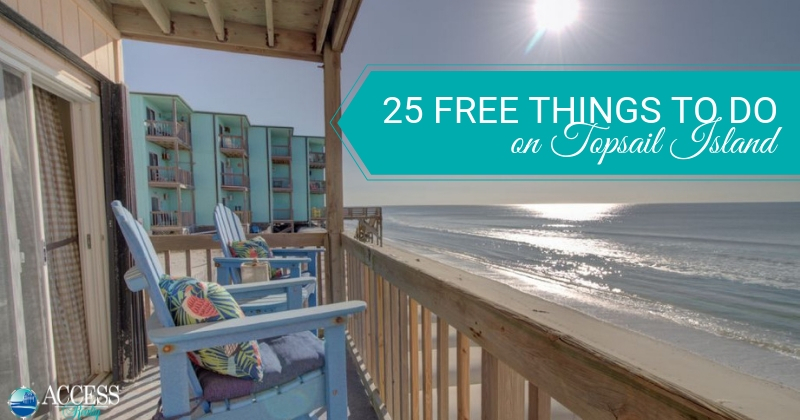 We have some really good news for you—there are a lot of free things available to you and your family during your Topsail beach vacation, and they’re all right near your Topsail Island rental. This is by no means an exhaustive list, but rather 25 of the many free things you can enjoy while you’re here. 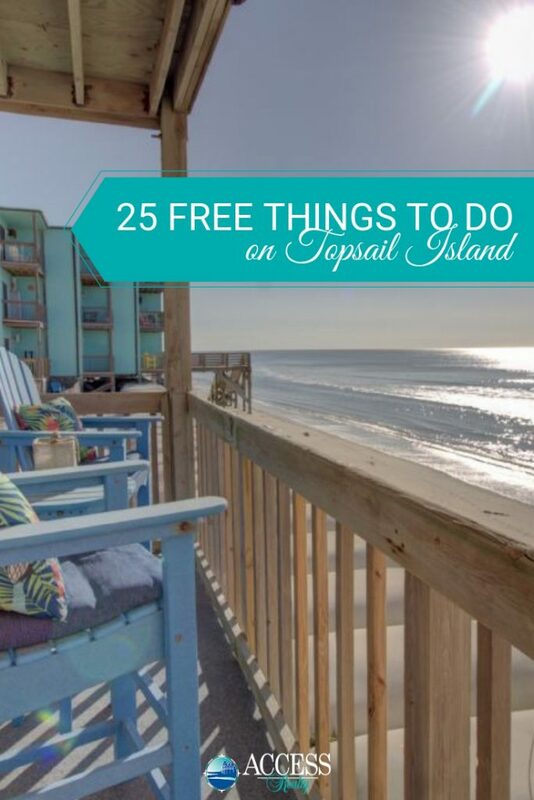 Here is our Topsail Top 25 list of best free activities, events, festivals, and things to do. 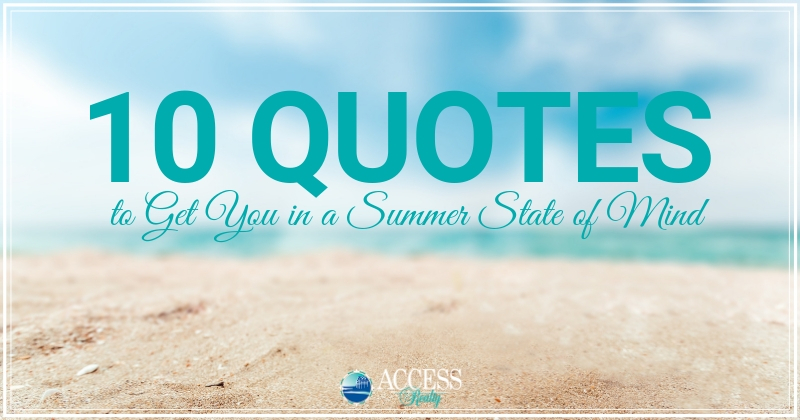 How many will you take advantage of during your Topsail Island vacation? We want to know! 1. Participate in the Dolphin Dip on New Year’s Day. It’s an annual tradition here on Topsail Island. Have you done The Dip? It happens every January 1st in Surf City on the beach. Bring in the New Year with a splash. Save the date! Event details here. 2. Attend the Surf City Easter Egg Hunt. Every bunny loves an Easter egg hunt and the Surf City Parks and Rec Easter Egg Roll never disappoints. This year it’s held in a new location: the Surf City Parks and Rec Community Center fields. BYOB! (Bring your own basket.) Event details here. 3. Go to the Summer Concert Series. From Memorial Day to Labor Day, enjoy the sweet sounds of some of the best musicians in the area. Come to Soundside Park on select summer nights for a fun and free evening out. Summer Concert Series schedule coming soon. Stay tuned! Event details here. 4. Watch free Movies in the Park. Free outdoor movie showings in Soundside Park every Friday from Memorial Day to Labor Day are a summer favorite. Movies start at dark with pre-show activities and food vendors at 7pm. Movie schedule coming soon! Event details here. 5. Celebrate Independence Day with Surf City Fireworks. We start the fireworks the night before the Fourth of July here on Topsail Island. The Surf City Independence Day celebration and fireworks in Soundside Park on July 3rd is a local highlight. Spend July 4th with us! Event details here. 6. Attend a Topsail Christmas tree lighting. Christmas on the coast of North Carolina is a beautiful thing. Topsail Island comes alive with local tree lightings in Surf City and Topsail Beach, parades, and other special events throughout the season. Holidays are better at the beach, you know. 7. Explore North Topsail Beach. Spend a day or two or three just exploring around town. Start from your North Topsail Beach vacation rental and begin your adventures. Check out the Permuda Island Coastal Reserve, the Sea View Pier, the beaches and soundside waters just to name a few. Surf City is centrally located on the heart of the island. Walk out of your Surf City, NC rental and take in all the sights including the Surf City Ocean Pier, the beaches and sound, as well as the main dining and shopping strip on the island. The southernmost town on Topsail Island, Topsail Beach offers miles of beautiful beaches, ocean and soundside waters, as well as the Jolly Roger Fishing Pier, the Missiles and More Museum, and access to Lea Island—plus they’re all right near your Topsail Beach vacation rental. Learn about the storied past of Topsail Island at the Missiles and More Museum, housed in the historic Assembly Building in Topsail Beach. Delve into the people, times, and goings on that led up to the present day beach vacation destination that Topsail Island is today. It’s free, but donations are always welcomed. 11. Have a picnic at Soundside Park. How much do we love Soundside Park? Let us count the ways. It’s the perfect spot to picnic, grill out, fish from the docks, watch the sunset, and let your kids burn off some pent-up energy. Lots of free events happen here, too! 12. Enjoy one of Topsail’s parks or playgrounds. 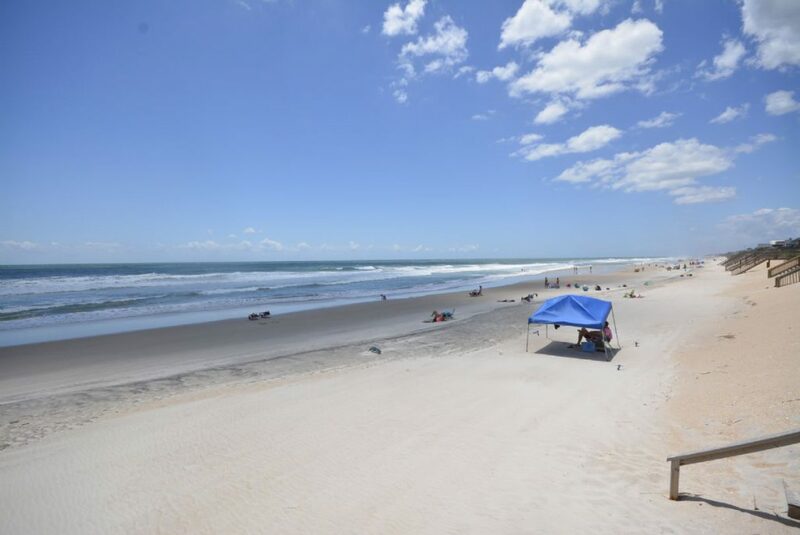 North Topsail Beach offers its Town Park; Surf City has Soundside Park, Kenneth D. Batts Park, and Nelva R. Albury Recreation Area; and Topsail Beach has its Town Center Park—each with their own unique amenities to enjoy. 13. Visit the Seacoast Art Gallery. Stop by the Seacoast Art Gallery in Surf City and view the beautiful art and handiwork of Topsail’s local artists and artisans. It really is a local treasure! 14. Window shop around town. One of the best things to do around town is to window shop Topsail Island’s unique stores. Right off the main strip you’ll find the Bumblebee Market, Topsail Island Trading Company, The Mermaid’s Purse, Mia’s Marketplace, and plenty of surf shops and sports shops just to name a few. Peruse the Topsail Chamber of Commerce Retail Shopping Guide here. 15. Bike along Topsail Island. Hop on your bike and pedal your way all along Topsail Island. Try the Topsail Island bike path, the beach, and anywhere your two wheels can take you. Read more about biking around Topsail Island here. 16. Soak up the Carolina sun. You’re on a beach vacation, so soak it up! Whatever you enjoy most, get out there and do it. From fishing and boating, kayaking and canoeing, surfing and paddleboarding, biking and walking, or just finding your spot in the sand and relaxing, there are plenty of ways to get your daily dose of Vitamin D here. 17. Walk the Topsail shoreline. Stroll your favorite stretch of the 26 miles of shoreline that Topsail Island has to offer. Make it your morning or evening ritual. Feel the sand beneath your feet, hear the waves crash around you, breathe in the salty ocean air, and enjoy the views all while getting your exercise. Topsail Island has some beautiful seashells just waiting to be discovered. Get out early and go out often for the best selection. Want some tips on shelling? Read our previous post: How to Find the Best (and the Most) Shells on Topsail Island. 19. Hunt for shark’s teeth. Shark teeth abound on Topsail Island. From recently lost teeth (sharks lose thousands of teeth over their lifetime) to fossilized Megalodon teeth, you never really know what you may find. That’s all part of the adventure! 20. Search for sea glass. 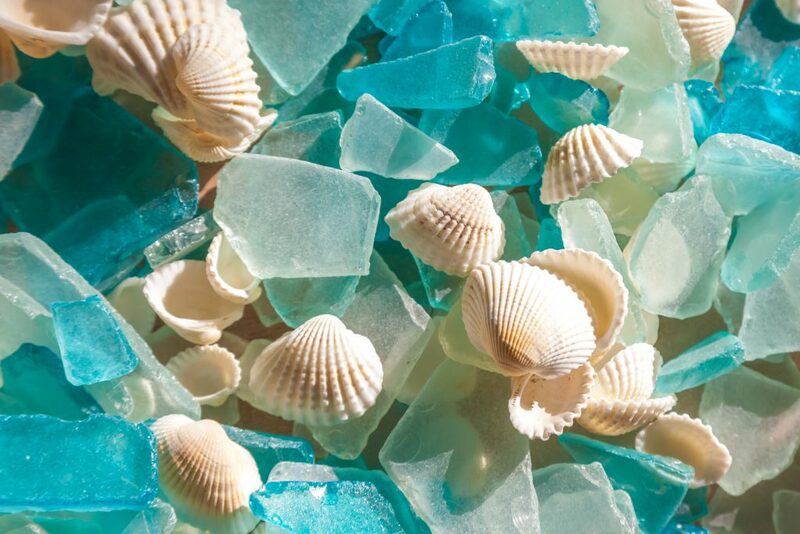 The search for that glint of sea glass in all its colors dotting the shoreline is a beachcombing adventure all its own. With a watchful eye and a willing spirit, you have all you need for your sea glass hunting expedition on Topsail’s beaches. 21. Surf the waves of the Atlantic. With plenty of Topsail surf shops and sports outfitters to guide you, you can grab your board, get out on the Atlantic, and ride the waves. May the swell be with you! 22. Paddle the local waters. Whichever mode of paddling you prefer, Topsail’s soundside waters are very inviting to those who seek peaceful and calm on-the-water adventures. Bring your kayak, canoe, or paddleboard then get out and explore. 23. Swim in the Atlantic Ocean. When is the last time you went for a swim in the wide-open ocean waters? It’s good to feel small in a big world every now and again. Float with the pelicans, body surf the waves, or just take a refreshing dip in the Atlantic. It really is rejuvenating. 24. Savor the Topsail Island sunrises and sunsets. Because of Topsail Island’s placement along the North Carolina coast, you get the best of both worlds when it comes to coastal sunrises and sunsets. You get a double color show every day with stunning sunrises over the ocean and breathtaking sunsets over the sound. 25. Try surf fishing from any Topsail Island beach. Surf fishing from Topsail’s beaches won’t cost you a dime, as long as you have the minimal fishing equipment, some bait, and a little patience. Just make sure you already have your NC fishing license! Which of these free Topsail Island activities will you enjoy this year during your beach vacation? Or do you have more to add to our list? We’d love to hear from you. Drop us a comment and let us know! We are devout summer lovers here! How about you? As winter drags on, we’re here to inspire you with what’s to come. 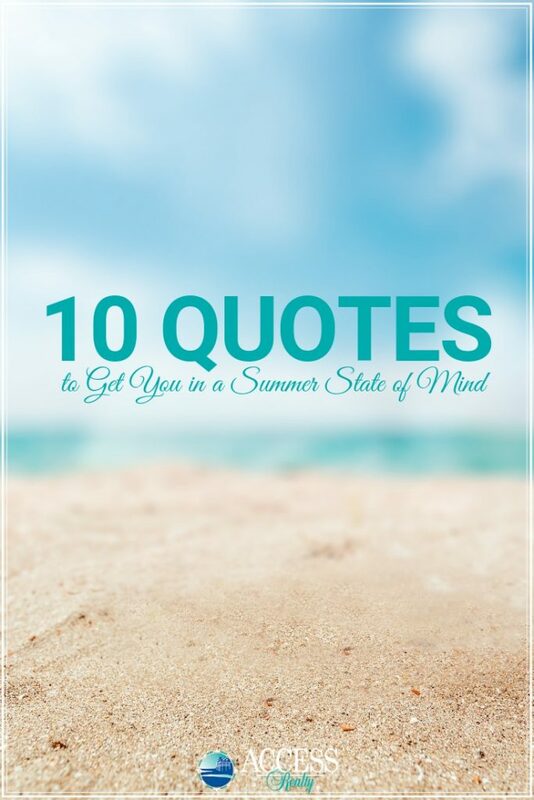 These encouraging words will remind you of all that the summer season has to offer you with its bright sunny days and beautiful star-filled nights. What makes summertime even better? Spending it on the beach, of course. And by beach, we mean Topsail Beach! Here is a little extra motivation to start planning your Topsail beach vacation with us today. Cheers to sun, sand sea and all that summertime is meant to be! One thing about living at the beach is that it’s pretty easy to maintain a summer state of mind. Constant reminders from the ocean, salty air, and sandy shorelines remind us that a summer state of mind is easy to find here on Topsail Island. Won’t you join us? Ah, summertime. It really brings to mind the best times in life spent wild and free, allowing you to just be. Every approaching summer is filled with the anticipation of good things to come and beach vacations to be enjoyed. Have you planned yours yet? The whole year revolves around the summer season with its warm sunny days and beautiful starry nights. 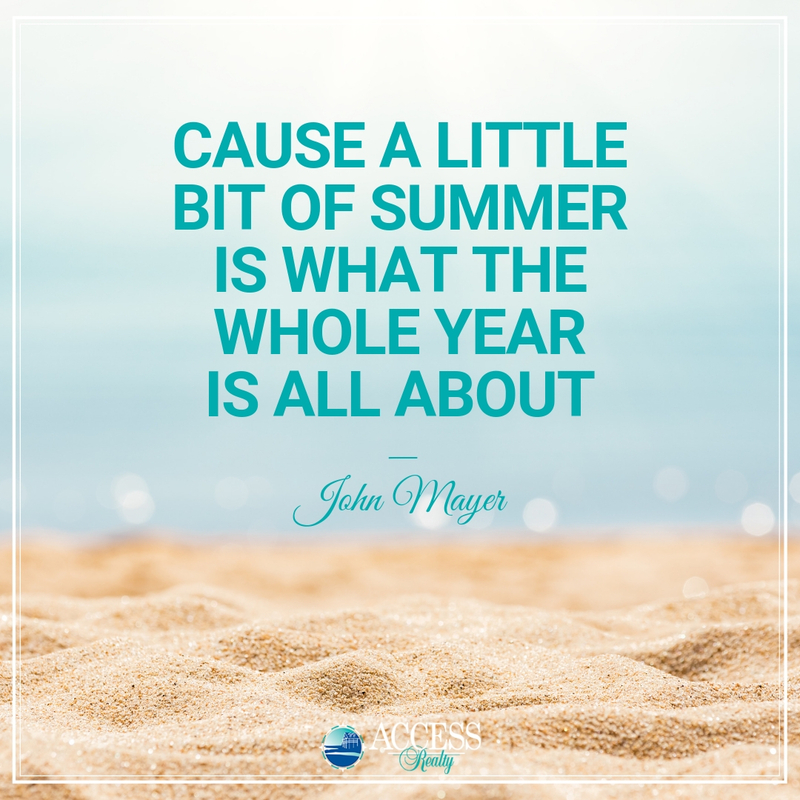 The other seasons each have their own charm, but summertime will always be our favorite. It’s easy to have a sunny disposition when you’re on the coast of somewhere beautiful, like right here on Topsail Beach. Soak up the sunshine while you’re here and radiate its warm glow for others to see. Even when you’re not at the beach, be the sunshine you want to see in the world! Welcome to beach life! Spend your time being barefoot and carefree. No shoes, no shirt, no problem! You’re on island time now and the dress code is come as you are. How beautiful are the summer nights where the stars are bright, the warm salty breeze is caressing your skin, with the sound of the waves serenading you? Most beautiful indeed. 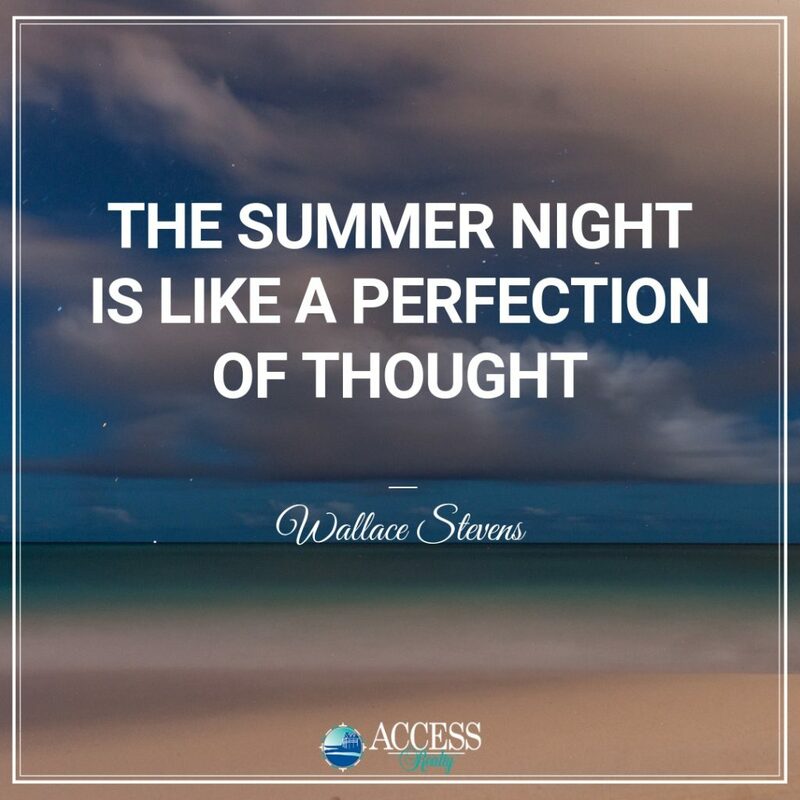 Summer nights are perfection in many, many ways. Come share some summer days and nights with us this summer on Topsail Island. Depending on where you live and what your winter has been like, you may need a nice, big, warm hug right about now! Warm yourself up right now by imagining your summer beach vacation here with us. Take it a step further by planning your Topsail beach vacation and chasing those winter blues away in an instant. Summer is coming! Nope, the beauty of the beach never gets tiring whether it’s summertime or not. We get to experience plenty of endless summers on the North Carolina coast, and we love every single one of them. How many of your summers have you spent on Topsail Island? We’d really love to know! Delight all of your senses and immerse yourself in beach life. Take time to really breathe it all in and feel in on your skin. Its presence is unmistakable and truly does affect your mind, body and spirit. The beach is some of the best medicine known to man and the best news of all is you don’t need a prescription. Just come and get some! How do you like to spend your summer afternoons? Lying on the beach? Reading the afternoon away? Catching up on some much needed naps? Fishing off the pier? Swimming in the ocean? Walking miles of beautiful beach? Whatever it is that you love to do, you can find it here on Topsail Island. Summer afternoons are pretty awesome here! This sounds like everything you need to have the perfect summer! Grab your family and friends, find your place in the sand, and spend some time by the sea this summer. Your Topsail, NC beach vacation is ready and waiting for you! Happy Summer! Isn’t it time you booked your beach house rental in Topsail, NC? Get into a summertime state of mind right now!